One the many great things about a Mark Warner Holiday is the variety of sports you can play in the resorts. My husband loves to play tennis, but doesn’t often get the opportunity at home, so I knew he’d jump at the chance to play on holiday. I’ll let him tell you all about his tennis adventures, as I didn’t want to miss out on the water sports available at the beach, so spent most of my time on the waterfront rather then the tennis court, more about those coming soon. Tennis at Mark Warner is fantastic, you can play as much or as little as you like, and it’s a great way to socialise and make new friends. 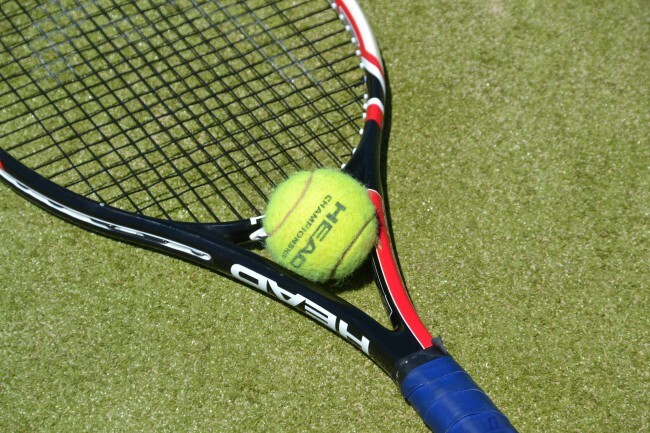 Mark Warner have a sizeable staff of fully qualified tennis coaches all at your disposal to take you from zero to hero. I can only speak from the zero end of the spectrum, my tennis has been limited to the odd social game with friends. So, I had very low expectations when I started the week at the tennis briefing. Everything at Mark Warner starts with a briefing. There is so much information to absorb because you can do so many things. The tennis briefing was fairly informal, it took us through the format, the events and the social aspect of playing tennis at Levante. After a brief explanation we were all invited to experience what we could expect from the daily tennis socials that take place every morning and we played for about 30 minutes in the social format. There are 6 courts there and you don’t have to get involved in any of the many planned activities to book yourself on those courts from dawn until well into the night. 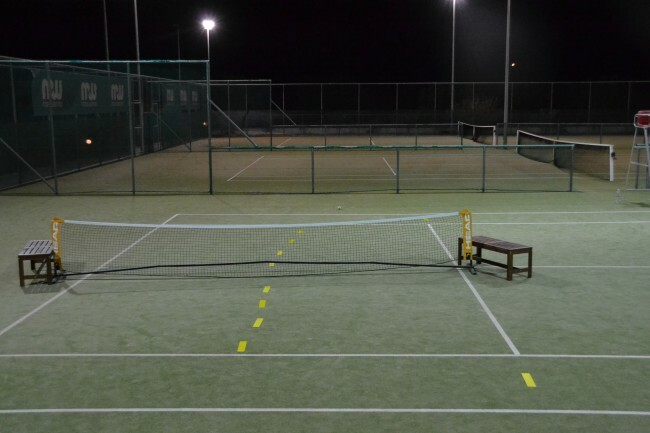 The racquets and balls are always available and the courts are floodlit in the evening. I wanted to be involved with everything during my stay at Mark Warner so I approached the tennis scene with gusto. I enrolled in the Mixed Doubles tournament (it didn’t matter that I didn’t have a tennis partner for this event, I was assured that one would be provided when the time came). The tournament was played on the friday (our last full day at the resort) and sure enough I was given a partner and throughly enjoyed our matches. I also thought it would be prudent to sign up for a few lessons. These came by way of an LTA level 2 coach called Holly. She was excellent and very flexible, I had to make several changes to my lesson schedule, all of which were accommodated easily. Her coaching was excellent, I felt confident that she was able to take me from complete beginner to being able to get my shots to land inside the court lines, and she did. I learned some very basic concepts, grip, topspin (both forehand and backhand) and finally managed to get serves to land inside the service box. There are more advanced lessons too in addition to the different tennis academy courses that run as group sessions throughout the week. Part of those courses have drill sessions so you can really get full on with improving your game. A big highlight for me was the Thursday night Tipsy Tennis. This was a really good fun tournament played at night with the assistance of some performance eroding substances (in my case the Greek VAP beer). Throughout the course of the evening my tennis deteriorated as reflected in my scores while at the same time my own perceived skill increased at the same rate. We played with children’s racquets, soft balls and a mini net to make it a little less formal (i.e .safer) and it was hilarious. On some of the evenings I played “dark tennis” with my 7 year old son who seemed overjoyed at this novel late night activity with Dad. It was lovely to be able to spend some one on one peaceful time with him after our busy day. So in summary I played more tennis than my body could cope with (I recommend getting fit before going on holiday!) and met a wide selection of people at various standards all of whom were super friendly and fun. If I didn’t have to spread myself so thin (almost compulsory the first time you try Mark Warner, due to the sheer volume of activities on offer) I would have spent a lot more time improving my game. As it happens I did see some improvements and also had a great sporting time! 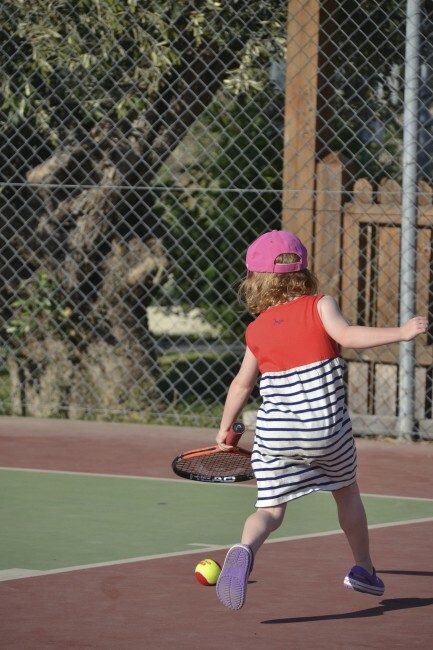 Most mornings before Kids Club the Minis ( age 3-6 ) can do their own tennis social. This is ideal if you want to get an early morning tennis lesson in and you have kids that need to go to childcare. Pop the kids along, where they will start to get to grips with holding a racquet, hitting a ball, while you (I) embarrass yourself with your attempts to improve your serve, forehand, backhand with the qualified LTA coach. After this you can take your kids straight into Child Care before collapsing in a heap back in your room. Older children can take part in some of the other tennis activities (such as the academy and drills). Check with the tennis staff to see what activities are available for each age range or check out the Mark Warner Website. Our children also played tennis in Kids Club with their new little friends and throughly enjoyed the experience. 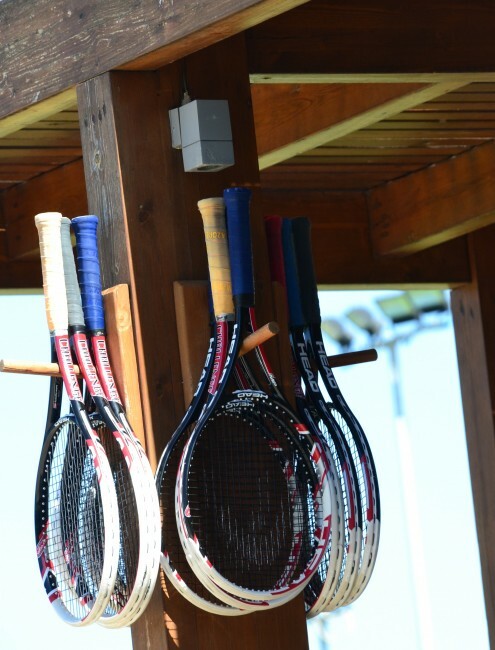 There are extra charges for private tennis coaching Mark Warner also run intensive tennis breaks, next available 19th September at Levante Beach. Not valid for free child places and can’t be offered in retrospect. Now Tipsy Tennis sounds like a sport I could fully embrace! I’d always wondered what tennis (and other activities) were like at resorts like this, and whether or not you got to mix with other guests. Lots of my questions are now answered, so thank you to your husband! He was like an energy bunny, running round doing everything possible! Tipsy Tennis, eh? Only at Mark Warner could you have that much fun! Actually Mummy… recently posted..A great family break (Sands Resort hotel Cornwall review). Tipsy Tennis sounds fab! I totally lack the competitive spirit, but I do enjoy a really good rally! I would so love to learn how to play tennis. Sounds good! I think my other half would be in heaven. The facilities look great and I’m really impressed that there’s such a range of activities on offer. i was So impressed Carolin, it was brilliant! They really have thought of everything and everyone so that they can get involved haven’t they. I wish I could play tennis. I used to play squash and I just thump the ball so hard it is always out. Ha ha, Rob tried to teach me squash once, it didn’t work out so well…. Katie @mummydaddyme recently posted..‘My Fitness Mission’- June. Yes, I wish I’d played too, especially as all the kids were asleep when we went to get them! Mark Warner Holidays, look amazing fun! Look forward to reading more! It was just brilliant!! I want to go back! Oh the tennis does look a lot of fun. We love to play. I love the sound of all this and never tried it at MW before because, as you say, I was throwing myself into the water sports! One of my kids may as well have been born holding a racquet so this would be ideal for him!